Well, what to say about The Wisdom of Sally Red Shoes? It is a book which could be terribly sad but instead is wonderfully warm and uplifting. The Wisdom of Sally Red Shoes is full of memorable characters. There is Sally herself, of course, with her red shoes and red hat, her tendency to swear as a form of greeting and her fondness for feeding the crows in the graveyard. Kitty Muriel is determined to live her life to the full despite past sadness and is not afraid to try new things even at the age of 70. Masha is a mother who has never got over the loss of her infant son and practises drowning at her local lido, where she swims daily whatever the temperature. Another character seemingly separate from these main three is Alice. Alice is a single mother who dotes on her only child having also suffered great loss in the past. I couldn’t quite work out her link to the story then when it became apparent, I couldn’t believe I had missed it! Masha works through her grief by thinking about dying herself, visiting her ‘other family’, the residents of Highgate Cemetery who she creates life stories for in her imagination, and considering becoming a cemetery guide. She is fascinated by the Victorian’s attitude to death. Death was a constant companion in the days before antibiotics and they had a much more practical approach. There was all kinds of advice on how to prepare for ‘a good death’, mourning photos of the deceased were not uncommon and of course they built grand cemeteries, places to come and remember their dead. 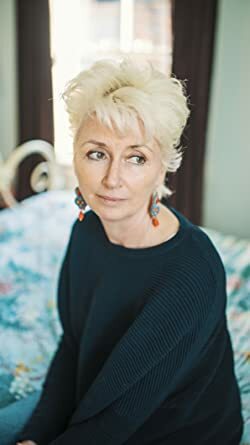 Yet, as Masha knows, this did not mean they did not feel the losses as keenly as we do in today’s society, where death is almost an unspoken word. Kitty’s words about being able to carry on with life after tragedy because she believed that the joy of being alive would eventually be brighter than the darkness of her loss left me with a lump in my throat. She was such a vibrant, exuberant woman that it was hard to imagine she had come through such sadness. And yet, this shouldn’t have been a surprise because which of us hasn’t suffered loss? The characters in this book are so fully rounded that of course they are going to have loved and lost and carried on, just like we do in the real world. 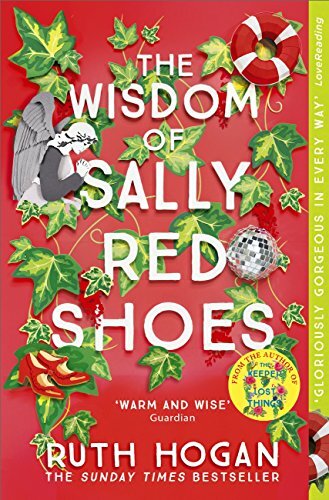 The Wisdom of Sally Red Shoes really is a wonderful read and a touching and uplifting story which I won’t forget. The characters will dance on in my mind for some time. I adored this tender-hearted book and you’d certainly be wise to get yourself a copy. Seems I should remember to look on Bookbridgr! It was my first request and what a cracker it was!